Significantly improves the absorption and efficacy of your preferred eye cream or serum. 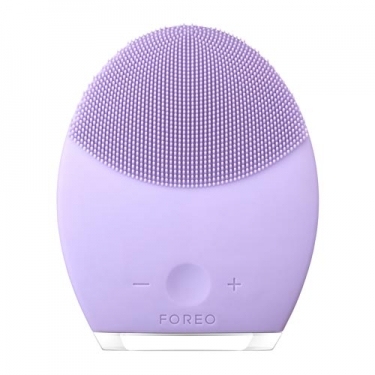 DESCRIPTION: LUNA IRIS from Foreo is an IRIS eye illuminating massager that has a unique design, approved by ophthalmologists. Inspired by the lymphatic massages in the eyes practiced in Asia, the innovative IRIS enhances the visible benefits of this technique beyond the ability to massage only with the tips of the fingers. Its unique T-Sonic technology has 2 modes, each designed to gently massage and soften the eye contour. 1. Apply eye cream or serum that you use regularly. 2. Apply the IRIS on the eye contour for 30 seconds on the left eye. 3. Apply IRIS to eye contour for 30 seconds on right eye.